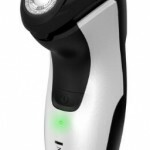 The Remington R4 rotary shaver combines a great brand name with an inexpensive cordless shaver. 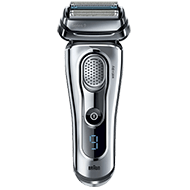 This shaver uses the latest PowerFlex 360 degree Remington technology that adapts to any angle on the face, providing a clean, close shave. The Remington R4 rotary shaver can be used wet or dry, in the shower, or in the sink. If you like to shave with soap, gels, lotions, or foams, this is the perfect shaver for you. 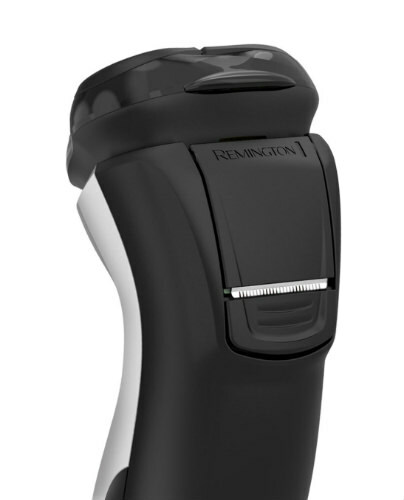 Remington designs their shavers so that they never tug or pulls the whiskers on your face. Surface irritation will be minimized. The rotary heads contain twin track blades to ensure that your face will be smooth and clean when done. These two tracks of blades ensure that they get as close to the skin as possible. The ActiveContour comfort system keeps all three heads in close contact with your face. You’ll find it easy to navigate your jawline, even while shaving the more delicate regions of your neck. It’s easy to wash the Remington shaver. Simply rinse the rotary heads under running tap water. Shake out, and dry. This washable model is easy to clean in your sink. This shaver includes the recharging cord in box. For each charge, the Remington shaver will run for up to forty-five minutes. You’ll only need to charge up your cordless shaver once or twice a week, depending on how long you spend shaving in the morning. It takes about four hours to charge it up to its maximum charge. 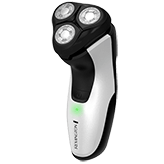 The shaver is powered by a lithium battery to provide the best performance during a shave. A handy pop up trimmer is standard equipment on a cordless shaver. This trimmer enables you to safely trim around tighter corners on your face, including sideburns, mustache, and beard regions. The trimmer is skin-friendly and will provide as comfortable a shave as the rotary portion of the shaver. 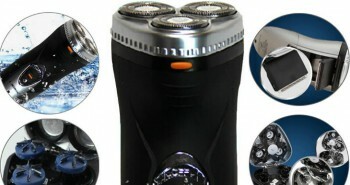 This Remington shaver is quite affordable for a rotary style shaver. There’s no need to buy a foil shaver when you can still buy a rotary style shaver at this price point. The Remington R4 rotary shaver comes with a sixty day money back guarantee. 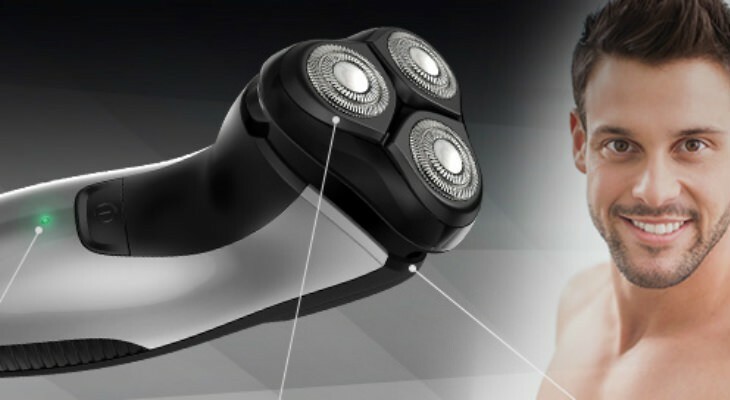 If you try the shaver and you are not 100% satisfied, you’ll be able to return it for a full refund. So if you’re still uncertain, you can order it and give it a try. Most reviews online are quite favorable for the Remington R4 rotary shaver. 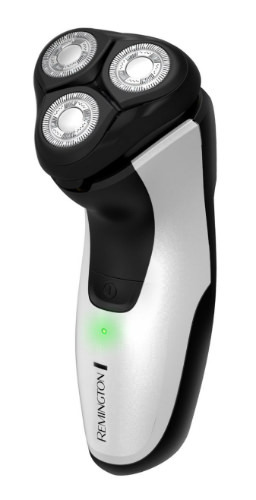 The Remington R4 rotary shaver provides a smooth clean shave for its affordable price. 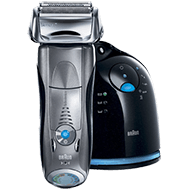 If you’re seeking an affordable cordless rotary-style shaver, this may be your best choice. Precisioncut Heads capture and shave stubble and longer hairs for smooth, comfortable results. Conforttrim Trimmer sits conveniently on the back of the shaver, providing a handy tool for detailing and styling sideburns and facial hair. ActiveContour Comfort System™ 50% more contour keeps the heads in close contact with skin on the neck and chin. TwinTrack Blades: Two tracks of shaving blades for maximum skin contact. Washable Rinses clean quickly and easily under the faucet. LED Battery Gauge: Low battery and charging indicator. 60 Day Money Back Guarantee If you are not 100% Satisfied with your purchase within 60 Days, we will give you a full refund.